Janie Makes UK has kindly sent me a pretty fabric memo board to review. Janie Makes UK sells lots of gorgeous hand-sewn creations using cute fabrics. Here's my pretty pink board! There's plenty of ribbon so I can stick some reminders in there! The board itself is a very decent size and I love the little ducky buttons that are securing the ribbon. The sewing is done very neatly, the board has a gorgeous finish. 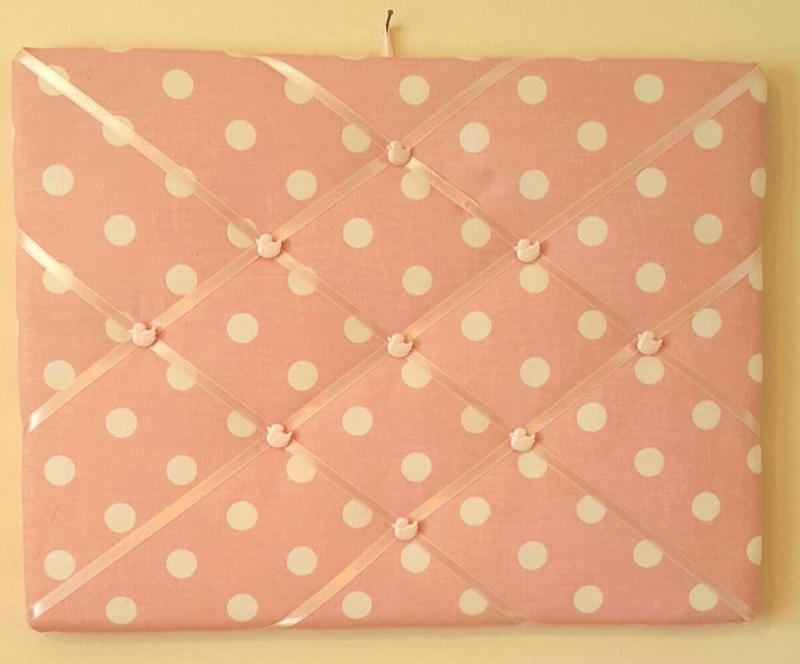 The memo board is altogether adorable - the polka dot print is so so cute and all the colours work perfectly together. I cannot wait to display this in my home and fill it with little notes. Definitely check out Janie Makes UK. Her creations are really pretty - she uses the most beautiful fabrics and adds cute little details like the ducklings on my board!